Chronic Pain Doesn't Have to be a Life Sentence! Suffering from chronic pain can be incredibly isolating and frustrating. Visiting doctor after doctor can leave you feeling as if there is no treatment for your pain. If you or a loved one is suffering from chronic pain, this book can be a first step to understanding treatments that can help manage pain. Though doctors have tried to treat patients in pain throughout history, more recently, focused training and certification in pain medicine has resulted in the emergence of a new specialty designed to help people suffering from chronic pain. 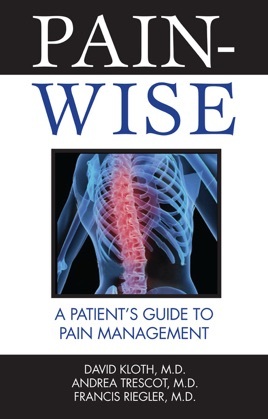 Written by three doctors with years of experience in pain management, Pain-Wise is a patient’s guide to simplifying the confusing and often overwhelming process of finding treatment for chronic pain. It will teach you the basics of how pain works, explain different interventional pain therapies in layman’s terms, and help you find a doctor that can manage, and potentially relieve, your chronic suffering.